Let us first look at what the branched chain amino acids are. These are three amino acids (leucine, isoleucine, valine) that are found in high concentrations within the skeletal muscle mass. Amino acids are the building blocks that make proteins, and there are 20 in total. The theory behind using these as a supplement during your workouts (intra-workouts) is that we have seen a decent amount of these amino acids broken down from the muscles themselves for energy production as they are seem to be more readily available to be burnt as fuel. Supplement companies have built their advice surrounding these products on this information, proposing that they will limit or cease this breakdown of muscle (as branched chain amino acids) allowing you to protect the muscle mass you have during the workout. Sounds appealing right? Absolutely! But the evidence at this point does not support this claim, in fact it looks more-so the opposite for the branched chain amino acids as an intra workout supplement. What we know is that the branched chain amino acids (leucine specifically) trips the switch for our muscle protein synthesis to begin (building muscle mass). We have seen this in several research studies, and this is why branched chain amino acids employ a two-to-one ration of leucine to isoleucine and valine to elicit this effect. But in reality, using this supplement during your workout makes no sense! The point of any sort of fitness or resistance training is to place enough stress on your body in a controlled manner (essentially making ,microscopic tears in your muscle fibers) so that your body responds in its usual manner of repairing that damage and then going beyond the point of repair to ensure the muscles are stronger than they once were to “protect” them from future damage. This is called a “supercompensation “ response and is the way we become better than we were yesterday. So is the goal of our training is to essentially break our body down to achieve this supercompensation effect, by taking a supplement that promotes “muscle building” when we are training effectively will limit the magnitude of muscle breakdown we can achieve from our training session, thereby limiting the amount of training adaptations we will gain from that session. So really, this supplement used intra-workout can actually be holding you back! Now if you must take this supplement, save them for after your workout where starting the recovery process as soon as possible is your goal. But if you want a real “penny saver” piece of advice regarding your choice of supplements here, just consume a high quality whey protein isolate, which is naturally extremely rich in the branched chain amino acids and is the highest quality of protein your body can take advantage of after an intense training session. Thank you for submitting this question as it really does highlight the misinformation within the realm of supplements. Whenever you are considering using sports supplements, be sure to consult with an Accredited Sports Dietitian to ensure you are receiving the best and most accurate level of nutrition information possible, which is something we offer you at Enliven Nutrition. Got a nutrition or training question? Or just want to know how to become better than yesterday? Jason is the owner, resident sports dietitian and strength and conditioning coach at Enliven Nutrition. 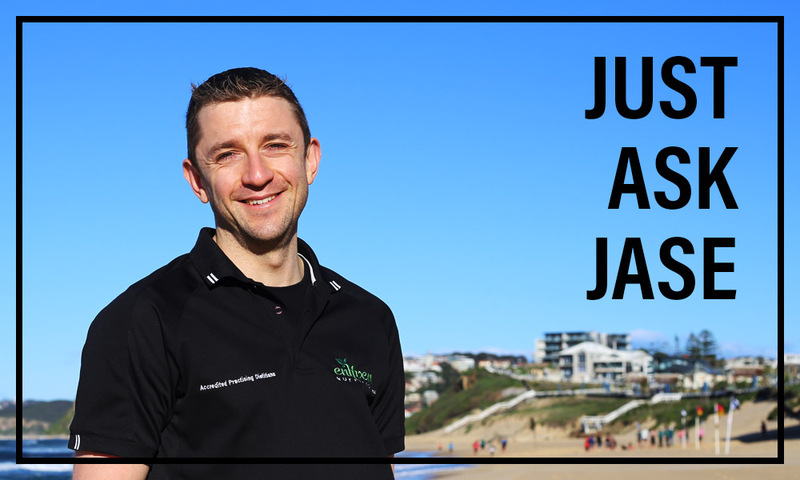 He specialises in sports performance, nutrition, weight management and strength conditioning training, and established Enliven Nutrition with the vision of providing nutrition and training programs that achieve any health or performance goal.